The WeMos D1 mini is a miniature wireless 802.11 (Wifi) microcontroller development board. It turns the very popular ESP8266 wireless microcontroller into a fully fledged development board. 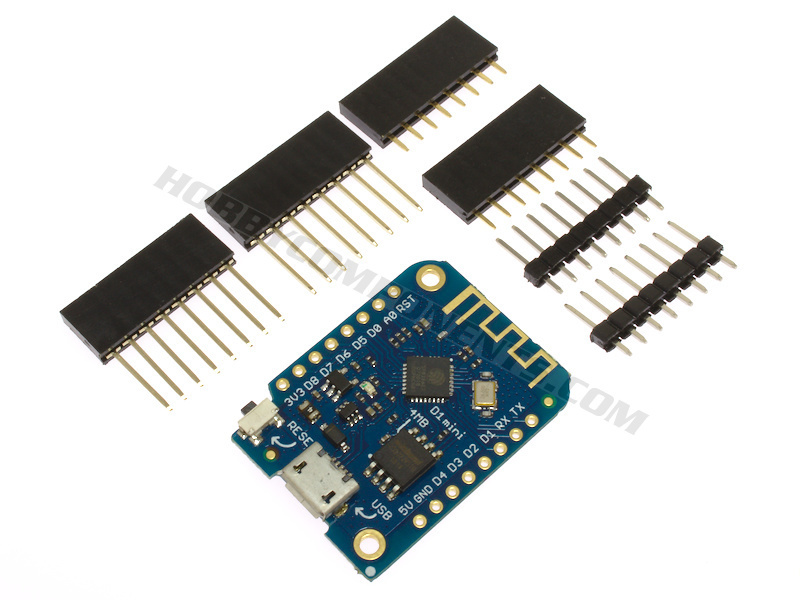 Programming the D1 mini is as simple as programming any other Arduino based microcontroller as the module includes a built-in microUSB interface allowing the module to be programmed directly from the Arduino IDE (requires the ESP8266 support to be added via board manager) with no additional hardware. 6) Under tools->board you should now see additional board options for various ESP8266 devices including one called 'WeMos D1 R2 & mini'.